The best makeup brushes come in a variety of price ranges, from very expensive to quite cheap. You can find the best of both worlds with individual brushes and makeup brush kits for every type of application. The world of makeup brushes can be quite the confusing one if you are unfamiliar with all of the brush types and what they do. You might have also noticed that there are hundreds of different brands of makeup brushes, each with different quality levels and prices. If you aren’t sure which makeup brushes you truly need and which brands offer the best quality for a reasonable price, look no further. In this article we will go over different brands, prices, and the Top 5 Best Makeup Brushes that are essential to your beauty collection. Let’s talk about brands first. There are thousands of different makeup lines in the world, and a majority of them also have their own line of brushes as well. Some are very pricey and are often the first picks of top celebrity makeup artists in Hollywood and New York City. Others are more middle of the line, and come in a range of quality levels. Some of the best makeup brushes you can buy come from the lines of MAC, Smashbox, Laura Mercier, and Lorac. Smaller brushes usually cost between $20 and $25, and the larger between $30 and $50. If you want to be sure that you have one of the best, these are the places to buy. If you don’t have hundreds to spend on the best makeup brushes, don’t worry. It is pretty easy to find great brushes that won’t break the bank from lesser brand names. NYX, Essence of Beauty, Sonia Kashuk, and Posh Brushes are significantly cheaper and are still great products. Their smaller brushes typically range between $8 and $10 , and their larger between $12 and $20. Essence of Beauty is even cheaper with packs of 5-6 brushes costing around $8. Now that you know where to buy the best makeup brushes for you, you’ll need to know which ones to buy first. 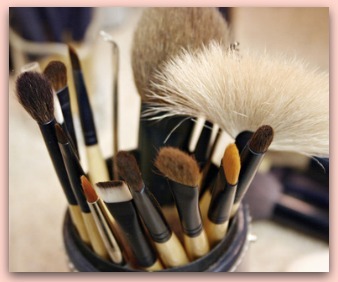 Every makeup brush has a specific purpose and does a great job fulfilling that one particular beauty goal. When you are first getting started, however, buying a complete set of brushes can be more expensive and over-the-top than is truly necessary. Here are the Top 5 brushes you will want to have from the beginning. The foundation brush is flat with a rounded end, and is made to apply either powder or liquid foundation to your face. Many women use sponges or fingertips to apply their foundation, but what they don’t know is that foundation brushes are one of the top makeup artist secrets to creating flawless skin. It is important not to confuse the two of these because while they are very similar, they aren’t exactly the same thing. 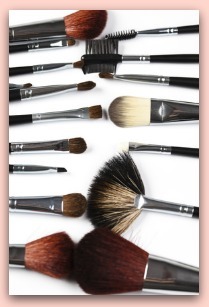 A powder brush is larger and not as densely bristled, and blush brushes are typically rounder. When you are first getting started, however, either one will do. Use this brush to sweep on powder or blush using the gentle side of the brush, not the ends, to avoid ruining the bristles. A tight, angled eyeliner brushes is one of the best things you can have on hand for applying eyeliner perfectly to your eyes. These work great for dipping into pots of gel liner or wetting and using with powder eyeliner or shadow. Eyeshadow is one of the most common makeup items women wear, and so of course is a necessary brush to have. The eyeshadow brush will easily apply color to your lids without putting bacteria back into your makeup compact. The crease brush is a type of eyeshadow brush that is longer and very round at the tips. It is extremely soft and is used to gently place darker eyeshadow into the crease of your eye, and then blend it in thoroughly. If you wear color on your eyelids often, this is one you won’t want to go without.